Photographs of the churchyard at St Patrick’s, Hill of Tara, County Meath. This entry was posted in Architectural History, Graveyard, Irish Church, Meath and tagged County Meath, Graveyard, Hill of Tara, Old Church. Nice poem . Better said in November. I enjoyed the highly atmospheric photographs which accompanied Frost’s prose. 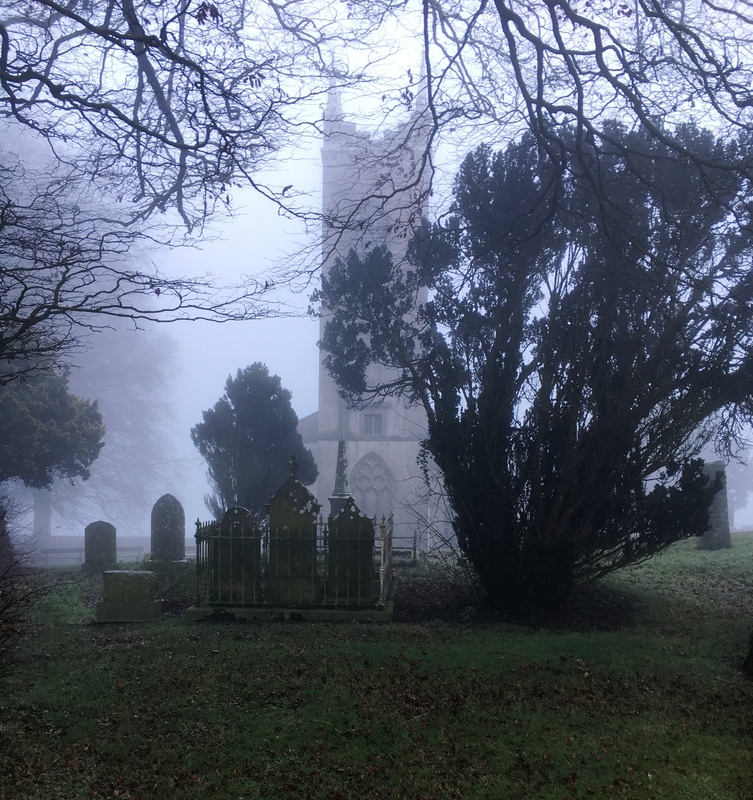 The solemn combination of an old Church, graves and mist tends to unnerve one. The irony is however, that although the Church of Ireland Church was decommissioned, the graveyard at Tara is not disused and still accommodates the occasional internment. Unnerving? Or casting a spell of enchantment?? There is a curious vibration in this haunting beauty, like a lure…. Perhaps for a future post you may quote Gray’s ‘Elegy in a Country Churchyard’ accompanied by some more cheery images?